The Interpublic Group firm, which had previously been the lead PR agency on the brand, was named Chevrolet's AOR amid a global PR agency review conducted by parent company General Motors. 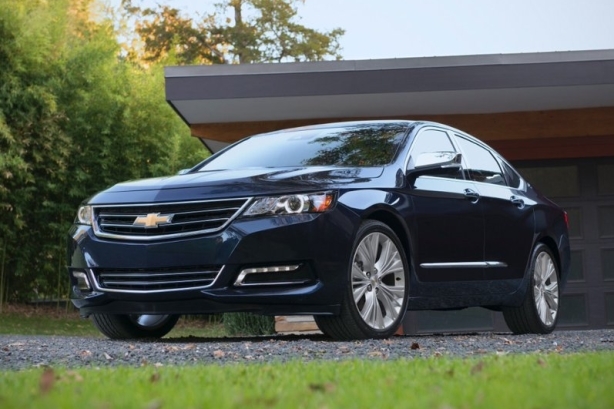 DETROIT: Chevrolet has selected Weber Shandwick as its PR AOR amid a global PR agency review parent company General Motors is conducting across all of its brands. Chevy did not previously have a PR AOR, though Weber had been the lead agency on the brand, working with several other PR firms. However, Chevrolet did not invite any other shops to pitch for the AOR account, said GM global communications SVP Tony Cervone. The two sides are ironing out the scope of work, he added. "It would have been unfair to [have the other PR firms] go through the whole process of preparation for this, given the investments that were made by [Weber] and the successes we are seeing with the integrated work we are doing with them," he explained. Cervone declined to name the other firms that collaborated with Chevy, but confirmed they are no longer working on the account. Weber will handle earned media for Chevy, working hand-in-hand with its internal communications team. The Interpublic Group firm will also collaborate with the brand’s creative agency, Commonwealth. "Weber will be integrated into what we are doing day in and day out," he explained. "The progress we have made, the investments they have made, and the alignment we have made with Commonwealth have proven to be very effective. It was an alignment and a simplification of our overall communications." Financial information was not disclosed. In April, Cadillac brought on Kovert Creative as PR AOR. Five agencies pitched, including FleishmanHillard, which had been handling influencer lifestyle relations for Cadillac. GM’s goal is to consolidate with one PR AOR per brand, as it has done with other marketing functions. The automaker has been preparing a series of global briefs, most of which will emerge by the end of the third quarter of 2016 and extend to non-incumbent firms. Agencies such as Fleishman, Weber, MSLGroup, and John Doe have been on high alert since the beginning of the process. The process is being driven by a push for efficiency, not just in terms of dollars spent, but also the time needed to manage it, Cervone told PRWeek in December. Various small agencies support the automaker, as well, especially on a regional basis.